The BRC has a new program board, now functioning within Bird Conservation Georgia. 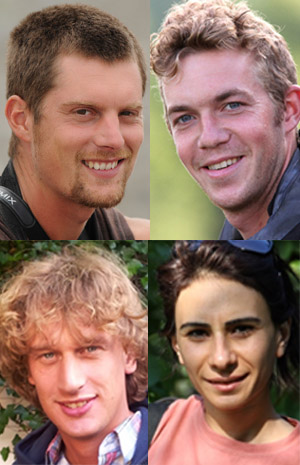 We welcome Folkert De Boer and Siranush Tumanyan as new members, and a few leave us. The former long time board member and founder, Brecht Verhelst, has left and shifted to the position as Director of Bird Conservation Georgia. There he is still in a strong function to support the BRC program with necessary needs, apart from other projects he coordinates. We'll miss Wouter Vansteelant, who has been actively working as board member for several years and decided to take a step back. The main tasks for the new program board is to set sail for sustainable waters where the BRC can remain over the long term. Our core projects autumn monitoring, student exchange, ecotourism and research have been set up from the scratch and proven important for the protection of raptors. We now bring their sustainability into the focus of our efforts while additional, smaller extensions can be supportive and necessary to maintain the program.